GET the Blu-Ray/DVD from AMAZON, Target, Best Buy, Barnes & Noble, Wal-Mart NOW. For Production Notes, Key Art, BTS Photos and Video, Filmmaker and Cast Interviews and Movie Clips, please visit the SMALL TOWN CRIME Press Kit Page. SYNOPSIS: Ex-cop Mike Kendall (John Hawkes) discovers the body of a young woman and, in an act of self- redemption, becomes hell bent on finding the killer. While his un-couth and quirky detective style helps break open the case, his dogged determination unwittingly puts his sister (Octavia Spencer) and best friend (Anthony Anderson) in danger. Additional cast members include Robert Forster, Clifton Collins, Jr., Michael Vartan, James Lafferty, Daniel Sunjata, Caity Lotz, Jeremy Ratchford, Don Harvey, Stefanie Scott and Dale Dickey. 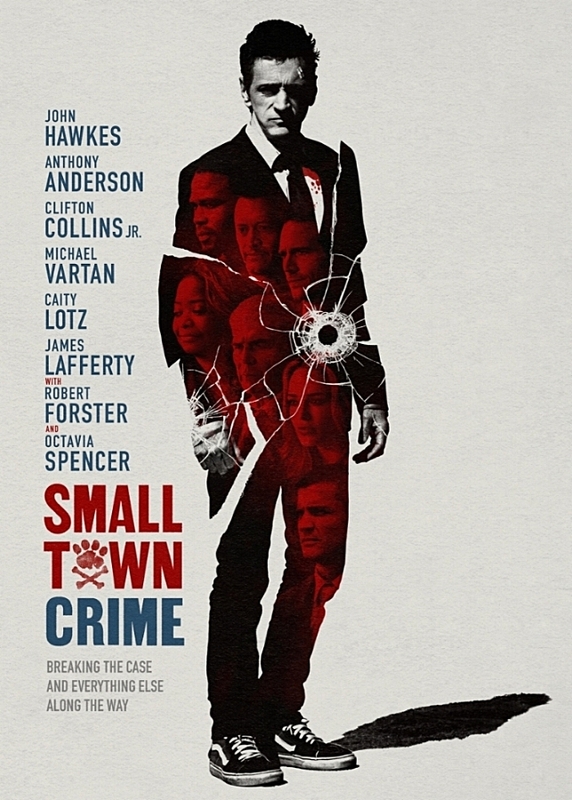 SMALL TOWN CRIME played at the SXSW Film Festival and BFI London Film Festival before its release in theaters on January 19, 2018. The film, which received positive reviews from top critics at the NY Times, LA Times, The Hollywood Reporter, Variety, and Fandango among others, can now be seen on DirectTV, iTunes, Amazon, and Netflix. The film was released on DVD & Blu-Ray on March 20, 2018 and is available online and in stores from Amazon, Target, Best Buy, Barnes & Noble, and Wal-Mart. FANDANGO — "5 Films to See"
NO FILM SCHOOL — "10 Most Anticipated Movies"
For STC Press Coverage, please visit the Nelms Bros. Press Page. For Stills, Movie Clips, Cast Interviews & Production Notes, visit STC Press Kit Page. For Updated News, please follow @NelmsBros on Facebook, Instagram and Twitter.